Many fathers are not aware that the court must presume “joint legal and joint physical custody” before they make any determinations regarding your case, and that many new custody laws support 50/50 custody and time-share arrangements. You should also be familiar with the “best interest of the child” rule that most courts use to determine custody and visitation orders. If you are not fully informed about these issues, an attorney with experience in family law can help you understand your rights as a father. 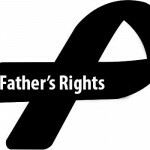 Fathers have the same rights as mothers regardless of whether you were/are married to your child’s mother. Unfortunately most fathers don’t take the time to learn what they can do to establish and enforce their parental rights. The family court is willing to help you if you are willing to take the right legal steps. As a father in a divorce or custody battle, you must know your rights and what your options are. Joining a local father’s rights group, if one is available, is one way to be informed. Your rights and obligations depend largely on individual state laws, contact LegalHelpLawyers.com today to consult with an attorney who is experienced in the practice of family law in your state!